Kidney glomeruli—constituent microscopic parts of the organ- were generated from human embryonic stem cells grown in plastic laboratory culture dishes containing a nutrient broth known as culture medium, containing molecules to promote kidney development. They were combined with a gel like substance, which acted as natural connective tissue—and then injected as a tiny clump under the skin of mice. 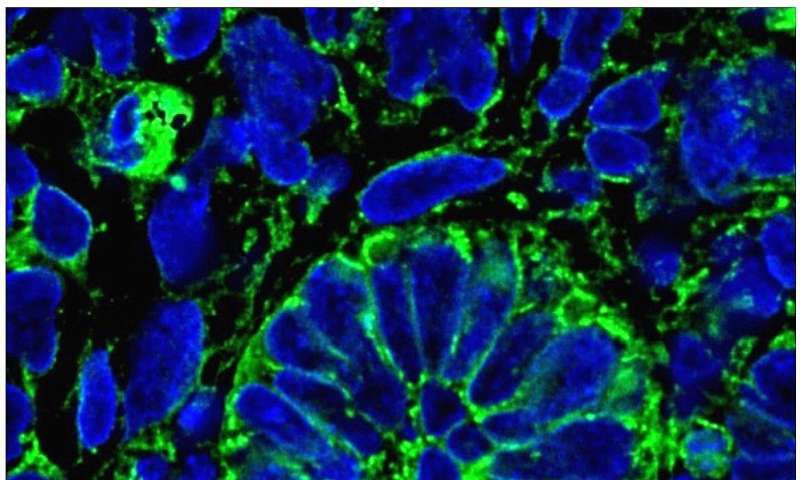 After three months, an examination of the tissue revealed that nephrons: the microscopic structural and functional units of the kidney—had formed. The new structures contained most of the constituent parts present in human nephrons—including proximal tubules, distal tubules, Bowman's capsule and Loop of Henle. Tiny human blood vessels – known as capillaries- had developed inside the mice which nourished the new kidney structures. To test the functionality of the new structures, the team used Dextran—a fluorescent protein which stains the urine-like substance produced when nephrons filter the blood, called glomerular filtrate. "We have proved beyond any doubt these structures function as kidney cells by filtering blood and producing urine—though we can't yet say what percentage of function exists," said Professor Kimber. "Though this structure was formed from several hundred glomeruli, and humans have about a million in their kidneys—this is clearly a major advance. "So we are tremendously excited by this discovery—we feel it is a big research milestone which may one day help patients. "However, there is much more to learn: Building on our generation of kidney filtration units we must now turn to developing an exit route for the urine and a way to deliver this technology to diseased kidneys. ...interstellar travel constant acceleration (immortals new body)... 3D Bioprinting... It all started in this way: at Clemson University (years ago) have replaced printer inks for some "ink cells" alive. The ink cartridges were refilled with some cells solutions and software was rescheduled. The "paper" is a biodegradable gel, designed at the University of Washington, which solidifies to reach 32 ºC of temperature. Still need it much? for to be a reality with great performances. The main problem is that it is still unable to create an organ which circulates the blood, but it can print a tissue with thickness of a kidney in just 2 hours. The next step is to print the tiniest (capillaries) parts of an organ, just those that make it work (plasma with O2 and nutrients towards...↔▓↔...and CO2 which go into from...). If this is achieved would be very near the Eternity for human being.